Scientists have created a molecular communications system for the transmission of messages and data in challenging environments such as tunnels, pipelines, underwater and within the body. The technique has a wide range of applications in environments where electromagnetic waves cannot be used, for example in underground structures such as tunnels, pipelines or in underwater environments. Molecular signalling is a common feature of the plant and animal kingdom – insects for example use pheromones for long-range signalling - but to date continuous data have not been transmitted. Researchers at the University of Warwick in the UK and the York University in Canada have developed the capability to transform any generic message into binary signals, which in turn is ‘programmed’ into evaporated alcohol molecules to demonstrate the potential of molecular communications. Their results are published in the open access journal PLOS ONE . The first demonstration signal was performed in Canada and was ‘O Canada,’ from the Canadian national anthem. It was sent several metres across open space before it was decoded by a receiver. The hardware is made from off-the-shelf electronics and costs around $100. The scientists believe the simple system could have a wide variety of applications, ranging from communication in hostile underground environments to nanotechnology. “We believe we have sent the world’s first text message to be transmitted entirely with molecular communication, controlling concentration levels of the alcohol molecules, to encode the alphabets with single spray representing bit 1 and no spray representing the bit 0,” says York U doctoral candidate Nariman Farsad, who led the experiment. 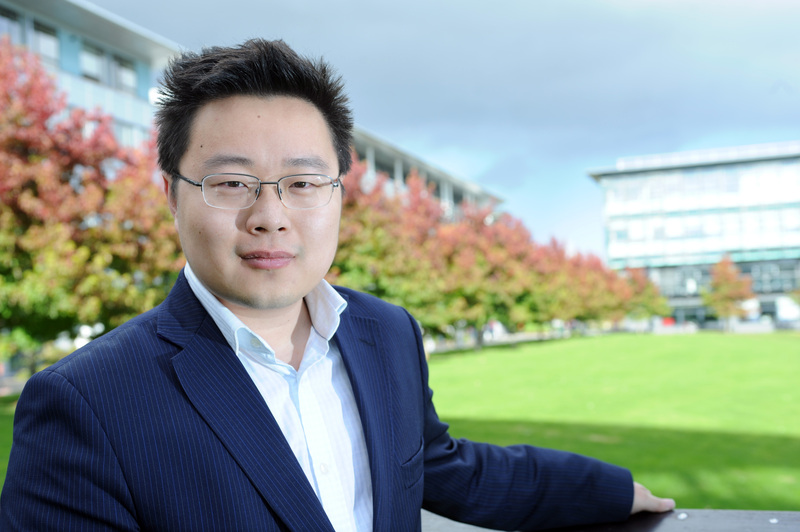 Dr Weisi Guo from the School of Engineering at the University of Warwick said: “Imagine sending a detailed message using perfume – it sounds like something from a spy thriller novel, but in reality it is an incredibly simple way to communicate. “ Of course people have achieved short ranged signalling using chemicals, but we have gone to the next level and successfully communicated continuous and generic messages over several metres. “Signalling or cues are something we see all the time in the natural world - bees for example use chemicals in pheromones to signal to others when there is a threat to the hive. “In the modern human world, our method won’t replace electromagnetic waves which transmit the bulk of our data, but there are some areas where conventional communications systems are not particularly well-adapted. “For example, inside tunnels, pipelines or deep underground structures, chemical signals can offer a more efficient way of transmitting sensor data, such as those collected to monitor the health of structures and processes. “They can also be used to communicate on the nano scale, for example in medicine where recent advances mean it’s possible to embed sensors into the organs of the body or create miniature robots to carry out a specific task such as targeting drugs to cancer cells. “On these tiny scales and in special structural environments, there are constraints with electromagnetic signals such as the ratio of antenna size to the wavelength of the signal, which chemical communication does not have.